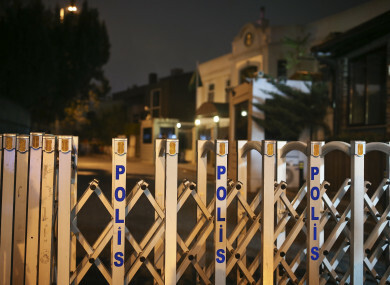 POLICE SEARCHING THE Saudi Consulate found evidence that Saudi writer Jamal Khashoggi was killed there, a high-level Turkish official said, and authorities appeared ready to also search the nearby residence of the consul general after the diplomat left the country. The comment by the Turkish official to The Associated Press intensified pressure on Saudi Arabia to explain what happened to Khashoggi, who vanished on 2 October while visiting the consulate to pick up paperwork he need to get married. President Donald Trump said after a phone call with Crown Prince Mohammed bin Salman that he “totally denied any knowledge of what took place in their Turkish Consulate”. While it was all smiles and handshakes in Riyadh, one prominent Republican senator said he believed that the crown prince, widely known as MBS, had Khashoggi “murdered”. Washington Post Publisher and CEO Fred Ryan said the Saudi government “owes the Khashoggi family and the world a full and honest explanation of everything that happened to him,” noting that today marked two weeks since the disappearance of the 59-year-old journalist. “We should give the involved states time, and under proper scrutiny, to come to a conclusion that they want to address this problem,” Melzer told a news conference at U.N. headquarters. Email “Washington Post: Saudi government 'owes Khashoggi family and the world an explanation'”. Feedback on “Washington Post: Saudi government 'owes Khashoggi family and the world an explanation'”.